Put your hand over your heart. Breathe. Smile. How does it feel knowing your physical life force is right below your hand? Your heart beats and pum ps blood throughout your body so you can be the special, unique being you are in the word. Do you feel connected to your beating heart? 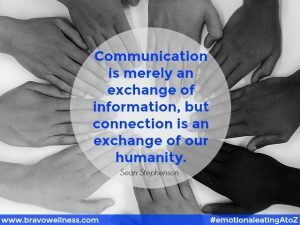 Allowing yourself to feel your feelings and work through the disconnect opens up a world of possibilities for you. Think of what happens when your computer freezes – nothing. No matter what you press on the keyboard, the computer can’t process the desired action. 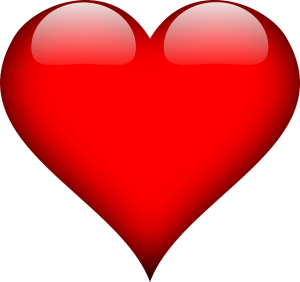 The connection to the “heart” of the computer is stuck; no movement is possible. Then you press ctrl-alt-delete and the computer goes through some motions to start functioning again. This is, essentially, how emotional eaters move through life – going through the motions. Yes, there is some real joy; there are happy times and great memories. But there’s also that pervasive feeling of “not enough,” of feeling stuck, afraid of moving forward and failing. In order to function, you eat candy, cake or cookies (yes, this week is all about the letter C) to stuff those feelings. What’s your ctrl-alt-delete button? Is it the candy? cake? cookies? Maybe it’s donuts or pretzels. Maybe it’s mac and cheese. You eat so you can go through the motions – and you take a step forward and then two steps back. What if you could change this pattern and move forward with confidence? 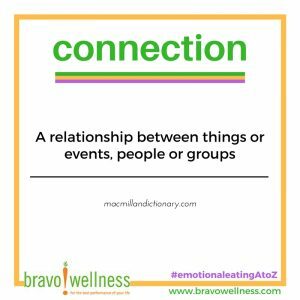 Establishing a strong, authentic, honest connection to your heart – to your self – is key to a healthy, happy life, void of the struggle of emotional eating. It allows you to be you – your authentic self with no competition (there isn’t another you!). It makes it possible for you to thrive and shine and achieve your goals and live your dreams. 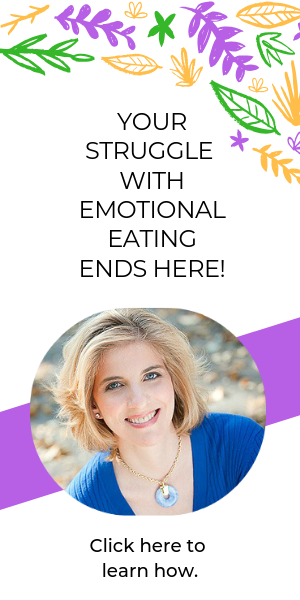 This isn’t easy to do for emotional eaters. It takes time; it doesn’t happen overnight. But it CAN happen and it’s worth the effort. Put your hand over your heart. Breathe. Smile. And say, “I love you” out loud so that if someone else were next to you, they could hear you.